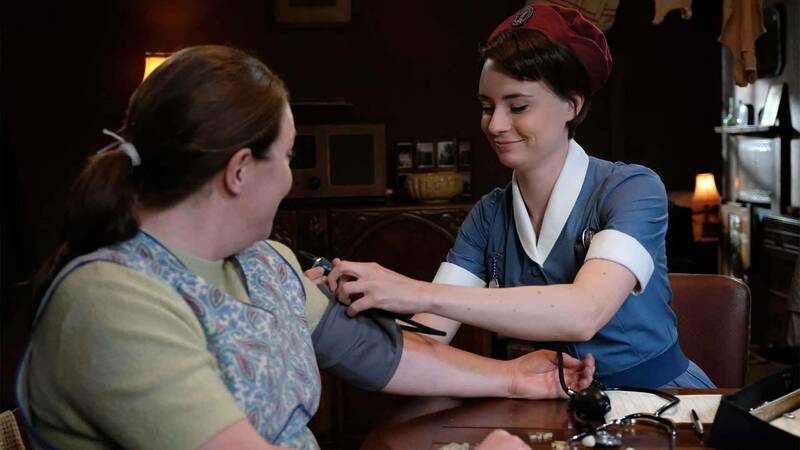 "Call the Midwife" Season 8 is rated TV-14. The plot points discussed in this episode recap contain mature content and may not be suitable for all audiences. Discretion is advised. Warning: spoilers ahead. 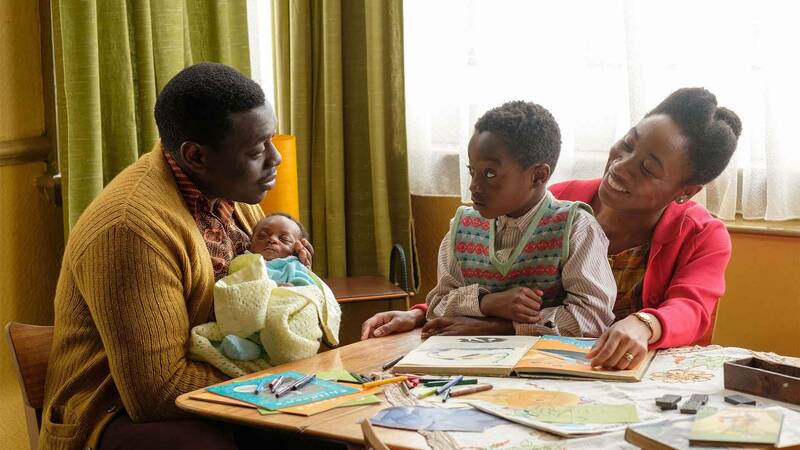 In this week’s episode we extend a warm welcome to Joel and Flora Aidoo, and their son Matthew. A friendly neighborhood postman and a stay-at-home mother, Joel and Flora take us on their journey as they apply for British citizenship and prepare for the birth of their second child. We learn that Flora has developed anemia, a blood condition that she also experienced during her first pregnancy. Though she’s taking her medication and regularly visits Dr. Turner, we suspect that something is looming in the Aidoos’ future. Of course, since we’ve already been sucked in by the family’s amiable nature, we fear our mental state is also in for a rough ride this episode. Hold on tight, y’all. With Dr. Turner’s ever-growing to-do list, Lucille volunteers as tribute this episode (someone has to make the sacrifice each week, right?) and agrees to add Clarice Millgrove to her roster. One of the doctor’s elderly ulcer patients, Miss Millgrove’s absence from two of her treatment sessions raises a red flag. When Lucille makes a trip to her home, she knows that something is amiss when Miss Millgrove’s neighbor complains of her unsanitary living conditions and notes that she’s been MIA for days. Entering the house, Lucille pushes her way through stacks of boxes, old newspapers and discarded food that has piled up to the ceiling. 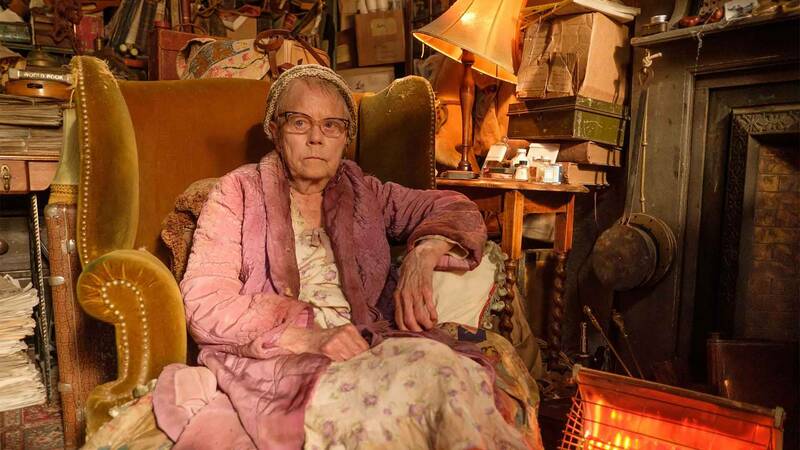 She immediately recognizes signs of compulsive hoarding, and amongst all the knick-knacks and rubbish, she eventually finds Miss Millgrove sound asleep. As one does when they awake to a stranger in their home, Miss Millgrove is startled to discover that Lucille has managed to find a way in and is even more disgruntled to learn that she’s there to treat her. 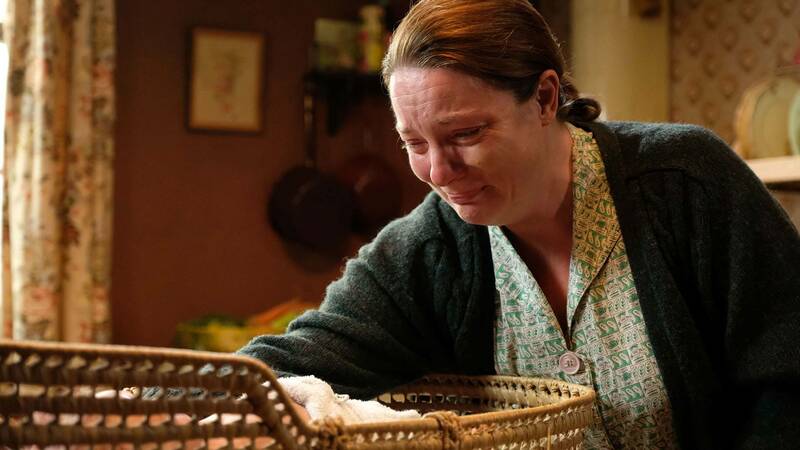 Yet after she finally surrenders to medical attention (because treating an ulcer > amputating a leg), Lucille warns her that she’ll have to notify the welfare officer about the conditions of her house. Though their bickering seems to be telling of what the future will hold for their relationship, it’s not long before Lucille warms up to Miss Millgrove’s fiery spirit. With local elections underway for the Tower Hamlets Borough Council, one of our own has been chosen to run for the position. As with every Poplar event that she’s involved in, whether running beauty pageants or organizing community picnics, Violet Buckle is as eager as ever to participate and win over her friends— er, voters. Oddly enough, one of her most stubborn constituents happens to be Fred Buckle, who’s less than thrilled about her recent undertaking. When Lucille returns to check on her patient, Sister Monica Joan goes along for the ride. After overhearing a conversation about Miss Millgrove’s extensive book collection, she offers to help Lucille “organize.” The two women quickly bond over their love for literature and Sister Monica Joan becomes Miss Millgrove’s ally. As we revisit the Aidoos, Flora is already deep into delivery. Though she was asked to go to the maternity home at the first sign of labor, as many pregnancies pan out, timing didn’t work in her favor. 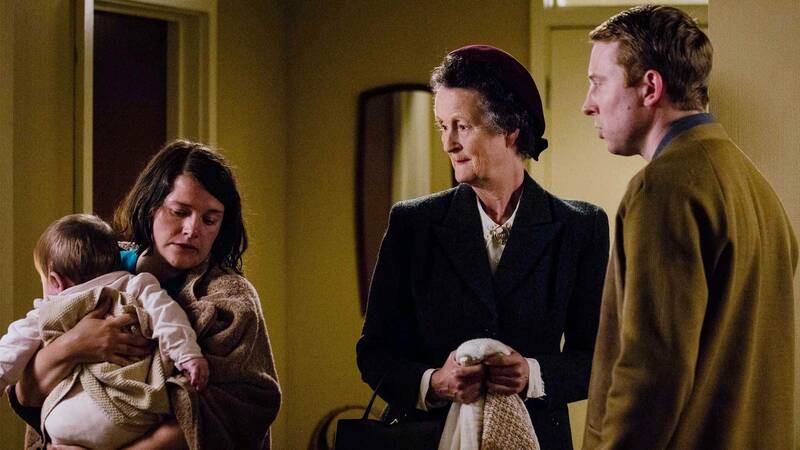 Sister Hilda and Nurse Franklin help her through the birth, but following the delivery, Flora begins to lose blood. Thanks to an attentive Trixie, Flora’s stabilized with an injection of ergometrine before she’s transported to the hospital for a blood transfusion. Struck by the incident, Trixie speaks with Dr. Turner, referencing a case she had dealt with while working in South Africa. She mentions two sisters, who were migrants from West Africa, that displayed signs of anemia and large post-partum bleeds. After some research, Dr. Turner diagnoses Flora with sickle cell disease and the team promptly informs the Aidoos to have their entire family tested. As Violet’s campaign continues, Fred’s attitude comes out to play, and the couple has their biggest blowout yet when Violet calls. him. out. for being unsupportive. In return, Fred vocalizes his general discontent for politics. After serving in the military during WWII, a war which took his first wife’s life, his resentment of government officials has finally bubbled to the surface. Fred points out that while some of those who make the orders (in a time like war) sit safely at home, there are those who risk their lives on the front line. The two have completely different perspectives on their acts of service for the community. Bad news bestows itself on the Aidoos and the results of all three family members, excluding their daughter, return positive. Disheartened knowing that either one of them could have passed on the disease to Matthew, Joel and Flora have trouble confronting this new life that has been handed to them. They learn from prior cases, and through the early death of a relative, that the disease can shorten a person’s life expectancy. Sadly, there is no cure. They worry for each other and for the pain that their son will have to endure. Lucille continues her weekly house calls and when she visits Miss Millgrove again, she’s stunned when she finds her lying on the ground after a fall. Having been there for several hours, the incident forces Lucille to bring in the welfare officer, and this quickly takes an uneasy turn. When the welfare officer learns that Miss Millgrove has had difficulty making the trek to the loo, she questions where her waste has actually been disposed of. She pokes around the house and soon discovers that the chimney has become Miss Millgrove’s hiding spot. The revelation shocks Lucille and furthermore humiliates Miss Millgrove as she admits to Lucille that she had only meant for it to be a temporary measure. Eek. The midwives do not get enough credit for all of the hard work they do. 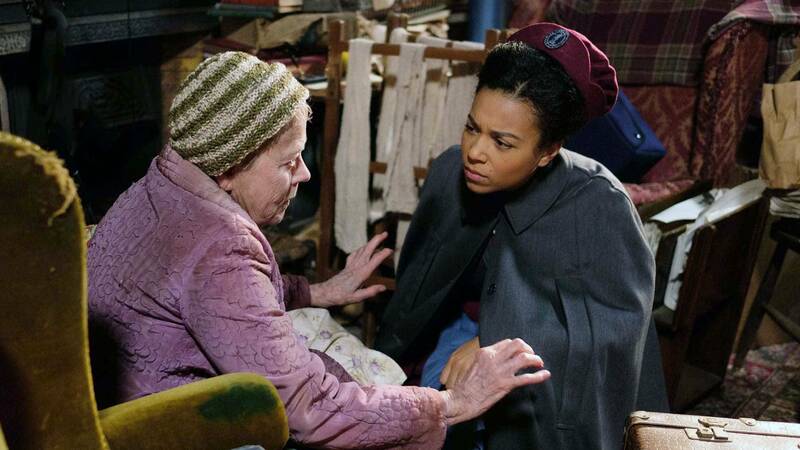 Following this encounter, Lucille later returns to the house to help Miss Millgrove as she packs up her most prized belongings and says goodbye to her home before she’s taken to a senior home. But in a desperate attempt to avoid the move, Miss Millgrove locks out the authorities and Lucille (sneaky). It isn’t until Lucille returns to Nonnatus House and seeks the advice of her comrades, that she happens upon the one belonging that Miss Millgrove chose to keep: a suffragette medal. Nurse Crane relays her aunt’s own suffragette story, noting that she received a similar medal while on hunger strike. She also mentions that her aunt was arrested and was force fed with a tube down her throat, a dehumanizing action which Miss Millgrove was likely also subjected to. After hearing Nurse Crane’s story, Lucille hastens to Miss Millgrove’s where police have already arrived to take her away, painting an eerily similar scene to the one that Nurse Crane described of her aunt. Lucille finally understands Miss Millgrove’s fear of being taken away by force and what might become of her outside the safety of her home. When Lucille prohibits the police from knocking down her door, Miss Millgrove allows her in. It’s during this interaction, away from the crowds, that Miss Millgrove breaks down and shares her story, recounting the atrocities that were committed after the sleepless nights, pain and emotional turmoil she had experienced when she was on her hunger strike. From this admission, and with Lucille’s encouragement, noting that “A woman of substance can make a life anywhere,” she gathers the strength to face her new path forward and leaves at her own will, donning her suffragette medal. Following an unfriendly exchange of words, the Buckles have been on the outs for much of this episode. It isn’t until Fred meets Miss Millgrove when he helps move her to her new home, that he comes to appreciate the hardships that women had to go through (and still go through *ahem*) just to get the right to vote let alone run for office. Fred finally apologizes, as he should, and the two reconcile as he backs Violet’s run. Not one to break promises, Lucille pays a visit to Miss Millgrove the day after she moves into her senior living home. But when she arrives, she finds that Miss Millgrove has passed away in her sleep. She later confides in Sister Monica Joan, wondering if the move resulted in her death, and whether she felt alone in her last moments. Yet as Sister Monica Joan points out, Miss Millgrove had people who cared about her all around her, especially at Nonnatus House. This is evidenced by the gifts that she leaves behind in her will: a Robert Louis Stevenson book for Sister Monica Joan and her suffragette medal for Lucille. With a newfound respect for her new friend, Lucille wears the medal with pride. Back with the Aidoos, Joel and Flora initially have trouble coming to terms with their disease. Yet they soon recognize that their life wouldn’t be what it is today if they hadn’t gotten married and had their two beautiful children regardless of how this chain of events may have impacted the health of their son and newborn. Despite this new challenge that they’ll have to work through, they’ve made peace with it and decide to stay in England to raise their family. It’s a happy conclusion for all – kind of, sort of. While this week’s episode ends on a lighter note than episodes prior, Season 8 continues to shake things up. Is it too much to ask for one cheerful story? Episode 3, maybe? No? Ok. I guess we’ll buckle up for now. Until we meet again! Forgot how we got here? Catch up with our Season 8 GIF recaps. 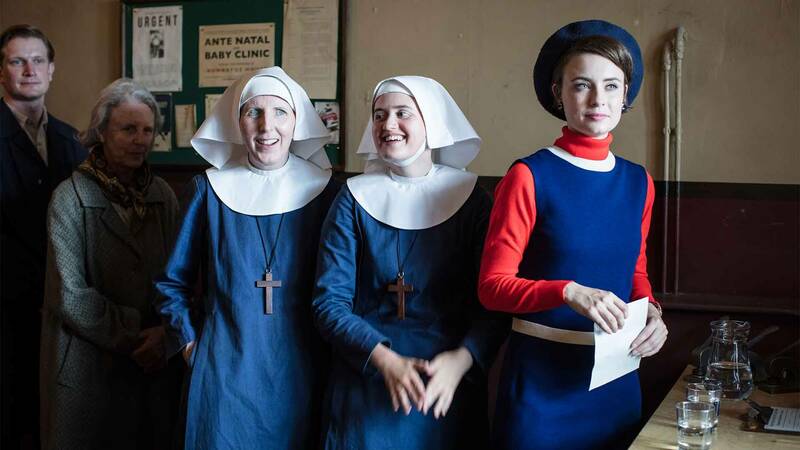 And don’t miss our modern take on “Call the Midwife”: The Modern Midwives Blog.